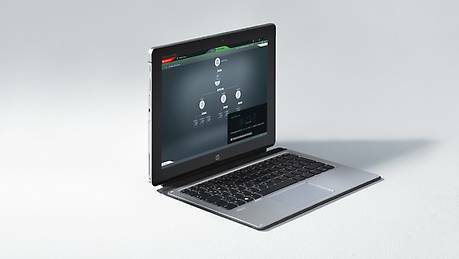 Do you have any questions relating to MOVISUITE®, MOVI-C® CONTROLLER, MOVIDRIVE® inverters or drive technology? Our MOVI-C® team will be happy to answer them. Simply send us a message. MOVI-C® is the all-in-one solution for automation tasks. Whether you want to implement standards-based single-axis or multi-axis applications, particularly complex motion control applications or customized automation solutions, MOVI-C® can help you do all that and give you the scope to achieve optimum automation for new projects. Your benefits: MOVI-C® is the all-in-one modular automation system from SEW EURODRIVE. This end-to-end solution from a single manufacturer covers all your needs – planning, commissioning, operation and diagnostics software, electronic control and monitoring devices, mechanical drives and gearmotors. There is only one place you have to go to for all the automation components you need. Naturally, all components can be fully integrated into all automation concepts, fieldbus topologies and network standards. You have complete freedom when it comes to the communication topology, as MOVI-C® harnesses all communication advantages – from PROFIBUS and Industrial Ethernet to Modbus and, in the future, OPC UA. MOVI-C® offers automation and a whole range of benefits from a single source – specifically, a company that is both an automation specialist and a manufacturer. Together, these components form one complete, end-to-end modular automation system made up of devices and field units that you can combine to suit your requirements and bus topology perfectly. Quicker and simpler planning, startup, operation and diagnostics in drive technology with unique usability. The MOVI-C® modular automation system offers special components for use in decentralized installations, applications and system topologies, such as the fully integrated mechatronic MOVIGEAR® performance drive system and the pairing of MOVIGEAR® classic with MOVIMOT® flexible electronics, which are installed close to the motor. More freedom in terms of parameterization, less programming work and centralized data management for greater simplicity. MOVIDRIVE® is available as a modular multi-axis system with single/double-axis modules and as a basic inverter with line connection. Diversity centered around applications – that is what it's all about. The range includes gear units for standard and servo applications that come in different sizes and with different outputs, speeds, torques, designs and varied finishes, all combined with asynchronous or synchronous AC motors. Linear motors, electric cylinders, brakes, built-in encoders and diagnostic units provide the finishing touch for this wide-ranging portfolio. The MOVIDRIVE® technology application inverter and the MOVIGEAR® performance and MOVIMOT® flexible mechatronic drive system are connected directly to the higher-level master via fieldbus interfaces. Predefined MOVIKIT® software modules ensure the drive function can be quickly and reliably implemented using graphical editors. Each axis is controlled individually via the network. Data is stored via a data exchange function on a memory card in the application inverters and in the decentralized units. The MOVIDRIVE® modular and MOVIDRIVE® system application inverters and decentralized peripherals such as the MOVIGEAR® performance mechatronic drive system and MOVIMOT® flexible have a real-time-capable connection to the MOVI-C® CONTROLLER via EtherCAT®/SBusPLUS. The MOVI-C® CONTROLLER receives setpoints for single-axis motions or coordinated motions from the higher-level master via the fieldbus. 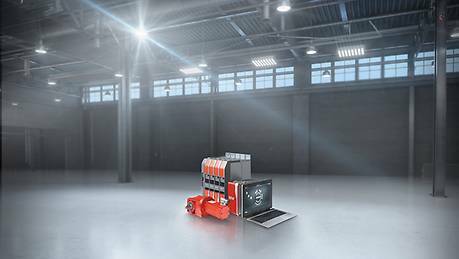 The MOVI-C® CONTROLLER determines the setpoints for the connected application inverters, thereby taking care of tasks such as phase-synchronous operation, electronic cam function or kinematics. Predefined MOVIKIT® software modules are used to implement the motion control drive function quickly and reliably with the aid of graphical editors. Thanks to more than 50 kinematic models, a large number of mechanical configurations are already covered. New functions for kinematic models can be custom-made by SEW-EURODRIVE. Data is stored via a data exchange function on a memory card in the MOVI-C® CONTROLLER. All drive functions of the motion control topology are available in the module automation topology. In addition to the graphical editors for the drive functions, automation tasks associated with the higher-level master controller can also be implemented in part or in full in a straightforward and flexible approach using the programming system (IEC 61131) in the MOVI-C® CONTROLLER. To support automation, any EtherCAT® devices can be integrated centrally or decentralized in addition to the MOVI-C® application inverters and drives. The CiA402 profile for controlling inverters has established itself in plants with highly specific motion control applications that are calculated in the higher-level master controller. To support control via CiA402, the application inverter MOVIDRIVE® modular, MOVIDRIVE® system and the mechatronic drive system MOVIGEAR® performance and MOVIMOT® flexible can be connected directly to the controller via the integrated EtherCAT® interface. This means integration into the higher-level controller can be achieved particularly quickly and easily, and does not require extensive conversion work. More sophisticated safety functions can be triggered via FSoE directly from the safety control system. In all topologies, the higher-level master controller uses safe communication to activate safety functions that are executed in the MOVISAFE® CS..A safety card in the application inverter, in the mechatronic drive system MOVIGEAR® perfomance and in the MOVIMOT® flexible. Since its debut at the SPS IPC Drives trade fair in November 2016, we have also captured the highlights of the new MOVI-C® modular automation system in moving pictures. Interested in finding out more? Then join us on a short journey into the future of automation. A rotor assembly system for servomotors was equipped with the components from the SEW EURODRIVE MOVI-C® modular automation system. Permanent magnets are automatically attached to rotors of synchronous servomotors. Automated packaging – MOVI-C® for multipack assembling and top loader. Experience MOVI-C® up close at this year's HANNOVER MESSE. Learn more about the most important trends in machine automation.